Residents, especially business owners in Pedernales, DR, realized how important doing business with Haitians consumers was after the mayor of the Dominican border town decided to shut down the bi-national market following an incident on Dominican side. 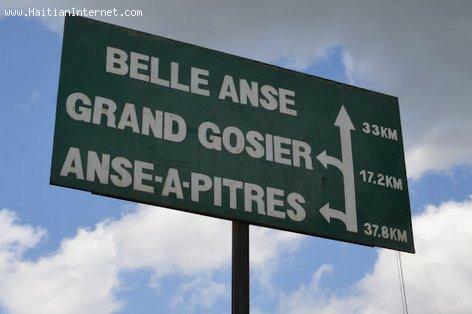 It's been at least one month since the border separating Anse-a-Pitres and it's Dominican border town, Pedernales, closed with all Haitians, with money in their pockets on the Haitian side, and Dominicans with goods to sell and no buyers on the Dominican side. This of course created the worst economic crisis in the history of the Dominican city of Pedernales. After the massive departure of Haitians because of the threats of the Dominicans. Dominican merchants realized they cannot make money without the Haitians. Go figure... The Haitians continue to survive on their side even without the purchase of Dominican product. According to news reports, Anse-à-Pitre mayor Harry Bruno refused to allow his compatriots to attend the market on the Dominican side, perhaps in an attempt to protect them. Pedernales mayor Luis Manuel Féliz Matos and the Dominican merchants in need of these Haitian consumers were not happy Friday. « Haiti Internet Access: Global speed increased 30 percent in 2017, How is Haiti doing? that city; on the Dominican side; My Name: Phillip A. Manning: I don't blame the Haitians not trading with the Dominicans if they are in fear or threaten. La charité bien ordonné commence chez soi! An NOU suspan supporté ekonomi Dominikins! An NOU supporté ekonomi Lakay pito! Li le pou Haïtiens suspan voye $2 Milliards US par an Kay dominikins! Bravoooo HAITI and the maire de Anse-a-Pitre! An nou kimbe $2 milliards de dollars US lan Lakay! Pour supporter Production local Lakay! I hope Haitians realize they dont need DR at all. They're a lot of places Haitians can buy from. Money is always the way to make the greedy pay or to punish them.